Today marks Week 2 of the Summer Sampler 2016 Quilt Along! 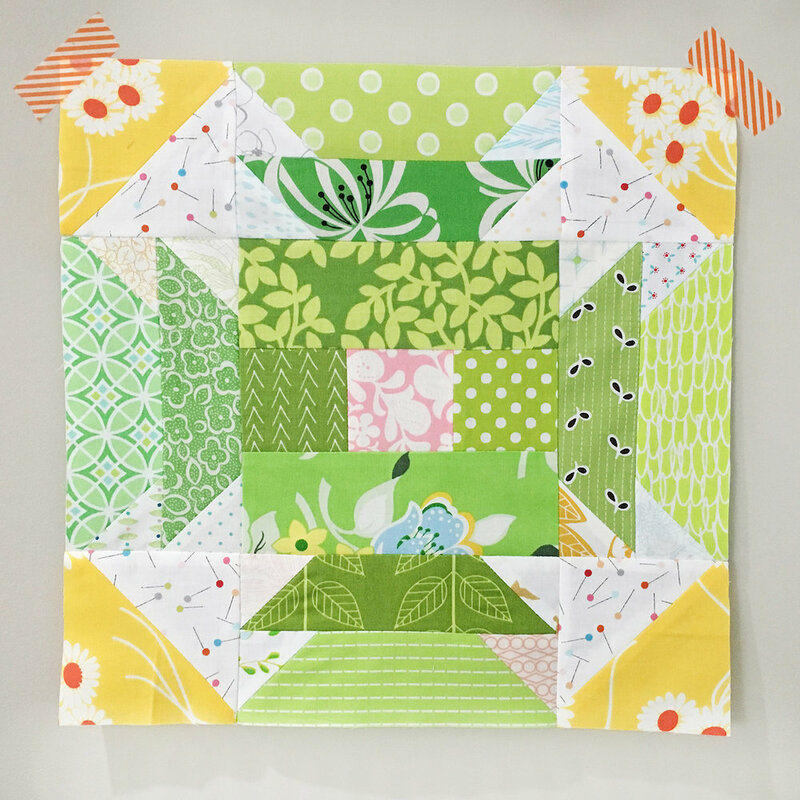 This week's block is named Summer Slice and was designed by Allison Harris of Cluck Cluck Sew. This block can look completely different based on fabric choices and layout. I went super scrappy with mine. Maybe too scrappy! I'm not 100% sure I won't remake mine a bit calmer, but I'm going to wait until further along in the quilt along. Sometimes one block can look a bit off on it's own, but fit well into a group of twenty. I can't wait to see all of your blocks this week!